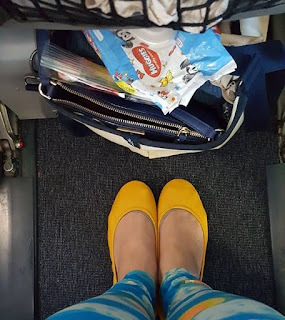 As a mother of two girls, I try my best to keep their outfits comfortable, durable, and modest. 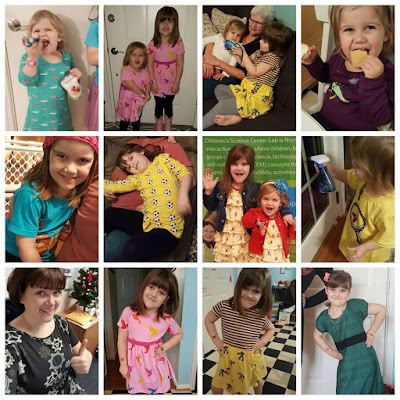 Dresses with leggings are like our "one ring to rule them all" ensemble solution because they can wear it for several years, unlike a shirt that can become too short after a growth spurt. Dressing my eldest daughter has been especially tough. She is only 5 years old but her height puts her into clothes made for 7-8 year olds. If you've been to Target or Kohl's in the past 3 years, clothing for 8 year olds look suspiciously like what I wore as a teenager in the late 90's - short, tight, and covered in glitter. We sometimes find solid leggings we can use under dresses but their other items gave us little wiggle room. I found I had to shop at either boutique stores for pricy dresses made from better materials or thrift stores for discarded gems. Then, I found it: Svaha! This company was founded by two working moms that met while at ThinkGeek (another favorite e-retailer of ours.) They found that there was a need for kids clothing that incorporated STEAM concepts as well as a variety of colors for both boys and girls. Their dresses often feature pockets (YAY!) and their adult dresses come in a variety of cuts for a variety of body types. Thanks to their fantastic flash sales, we now have over 30 pieces from their website. We can't get over how cute this little girl looks in our Svaha girls dresses! Thank you @housebrokenmom for sharing these with us! Their new designs feature Pi, glow in the dark jelly fish, and a vintage inspired chemistry fabric available in an adult and child sized dress. I just bought the kid version of the chemistry dress for Joanna - I'll be buying the adult one soon! If you're looking for women-owned businesses or local businesses in the Northern Virginia area, check out what Svaha has done - and what they'll do next!